Why do I claim that the beer drought in Midland is nearly over? 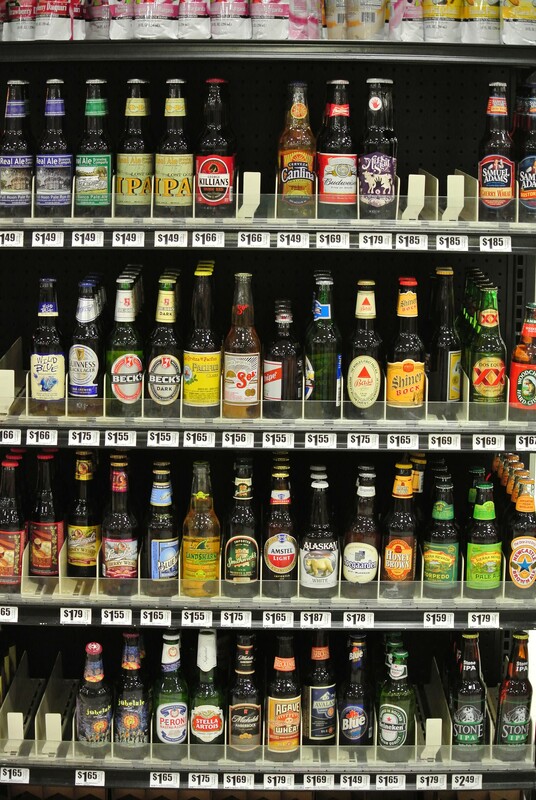 The local HEB supermarket on Wadley has just overwhelmed me with their stock of craft beers. I have visited a couple of the package beverage stores in town and the pickin’s were slim! HEB not only offers variety but they also offer the ability to pick and chose single bottles!!!! They even supply the wine carriers – six-pack style to haul your treasures home. I ran across this mix and match concept this summer in of all places – Biloxi Mississippi! Shown below is a rack, four shelves of very nice choices. I was in Midland for three nights staying at a Residence Inn with my own little kitchen and refrigerator in the room. I picked up a small selection as shown in the photo below. Two out of three will stay on my play list…. 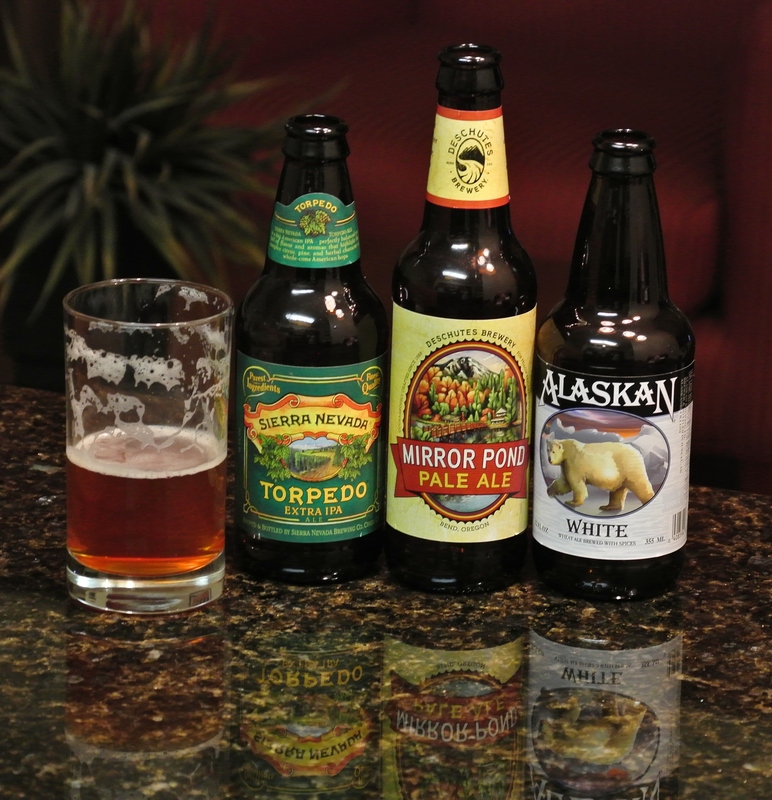 the Alaskan White would be of interest to my wife…it is Blue Moonish/Shock Toppish in flavor. My selection for the three nights in Midland. The glass held the Sierra Nevada Torpedo IPA. I also found an establishment that is also putting a dent into the Midland beer drought. 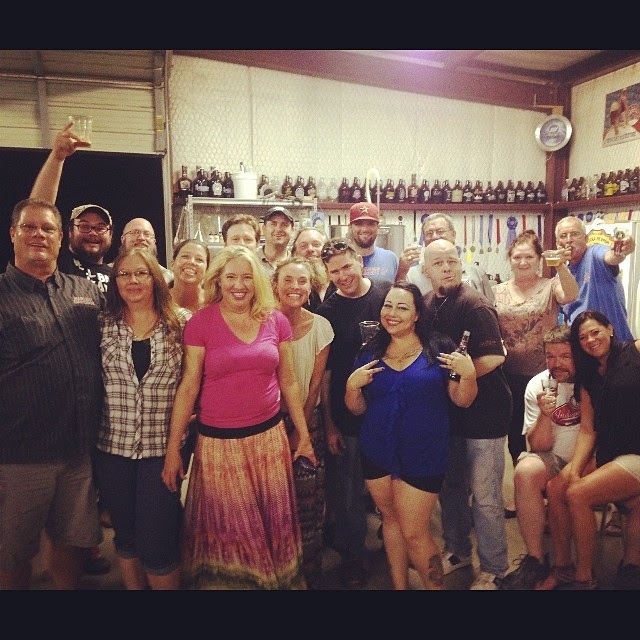 Double Dave’s Pizza has a cooler full of a nice variety of craft beers….Two thumbs up to the guys at Double Dave’s…. I had a Deschutes Porter – the Black Butte Porter to be precise. It has a nice velvety feel in the mouth with a nice roastiness and with a hint of chocolate. I my brain this phrase resonates – “I’ll be back” – with an Austrian accent. 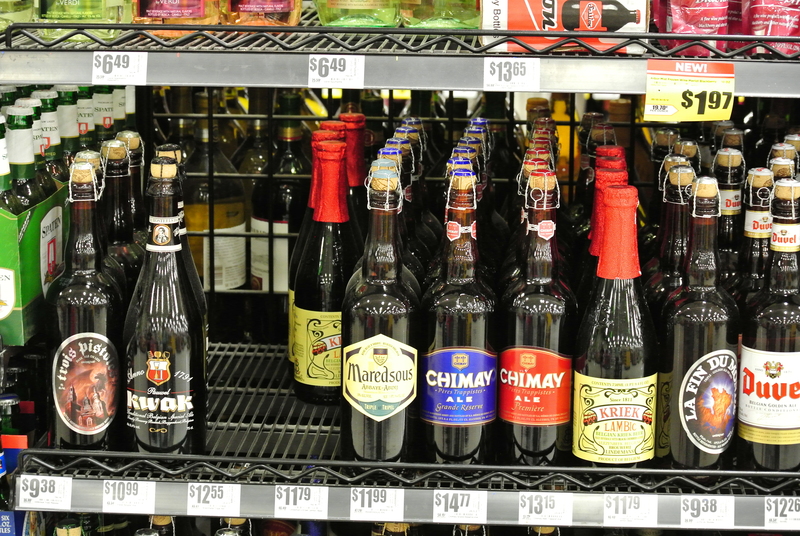 Back to HEB – a good selection of the 22 ounce bottles and a selection of Belgium offerings. Now, if only they can get some consistent rain the area will be well on its way to recovery!